Municipal offices will be closed on Friday, March 29, in observance of Good Friday. Offices will reopen for normal business hours Monday. Residents should note, however, that trash and recycling will be collected as scheduled on Friday. Thank you and happy Easter to those who observe. 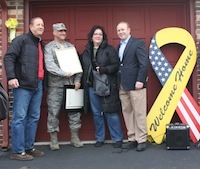 Last Sunday, Council President David Fleisher, Councilwoman Melinda Kane and I joined more than 200 family, friends, neighbors, state and county officials to welcome home Air Force Major Harvey Gaber as he returned from his second tour of duty in Afghanistan. Gaber, a 1985 graduate of Cherry Hill East, joined the National Guard as a student at Stockton State College, and has served in the Air Force for the last 12 years. He has received a number of awards and commendations, including the Air Force Commendation Medal and the Air Force Achievement Medal. I was proud to be in attendance last Sunday, to thank Harvey for his continued service to our nation. Please join me in thanking him once again, and in wishing him well in the future. The Spring 2013 Community Magazine is now in homes and registration is open for upcoming Recreation Department classes and events. The 32-page magazine contains a recap of news and events, as well as a comprehensive listing of upcoming activities for residents of all ages. To view the magazine electronically, or for online registration, click here. For more information, call the Recreation Department at (856) 488-7868. There are still a few garden plots remaining for the 2013 Plant-A-Patch season at the Barclay Farmstead. For more than 30 years, local families have harvested their own plots in a community garden on this historic farmstead’s original fields. The fee is $30 for a 25-foot by 25-foot plot. Become part of the tradition today! For more details, contact Sandra Ragonese at sragonese@chtownship.com or (856) 488-7886. Girls in grades 3 through 5 are invited to register now for the second installment of “Girls on the Run,” a program offered by the Katz JCC in cooperation with the Mayor’s Wellness Campaign that teaches life skills and important lessons through conversation and running. Through a series of sessions with their coaches, girls learn about emotional and physical wellness, build friendships and learn teamwork, all while having fun. The first session, held last fall, was extremely successful – so much so that the program has been expanded for this year. Several spots are still available; however, registration ends this week. For details, click here. Parents are invited to a special free event being held on April 3, presented by Clinical Psychologist Adam Berman. From 7 to 8:30 p.m., Dr. Berman will discuss awareness (which he calls mindfulness) within the parent-child relationship, and how practicing mindfulness might ultimately affect a child’s behavior. The presentation will conclude with a mindfulness activity for all who wish to participate. Attendees are encouraged to bring a large towel or yoga mat, and dress comfortably. The session will take place in the Carman Tilelli Community Center, 820 Mercer St. This program is sponsored by S.C.O.P.E. (A partnership of Cherry Hill schools, Zone PTA, Kennedy Health System, Character Education Initiative, and the Cherry Hill Alliance on Alcohol & Drug Abuse). For information or to register, call (856) 488-7889 or e-mail Alliance@chtownship.com. The Camden County Board of Freeholders will offer a free parenting conference, “Raising the Next Generation,” from 8 a.m. to 1:15 p.m. Saturday, April 13, at Pennsauken High School. This fun and informative event, designed to help families meet the challenges of everyday life and help children become the happy, healthy, smart people they were born to be, will feature workshops exhibitors, prizes, a giveaway bag, and much more. A free continental breakfast begins at 8 a.m.; author, TV host and columnist Lu Hanessian will speak at 9 a.m., and workshops begin at 10. Free on-site childcare will be available. Registration is required. A complete list of workshops and the registration form are available here. For more information, please call Joan Quinton at (856) 225-5575. The Friends of the Cherry Hill Public Library and Junior Friends of the Library cordially invite you to attend a very special fashion show fundraiser and luncheon at 11:30 a.m. Saturday, April 13, in the Library (1100 N. Kings Highway). Enjoy fashions provided by J. Jill and The Contact Exchange of Haddonfield, as well as a hot buffet lunch with dessert, coffee and tea. Tickets are $25. Proceeds support the hundreds of programs, events and activities held at the Library all year long. For more information or to purchase tickets, call Nancy at (856) 903-1234. Legal Services of New Jersey offers a special Hurricane Sandy Legal Assistance Hotline for lower-income New Jerseyans with civil legal problems caused by the storm or its aftermath. Services are free to those who qualify. Legal services provides advice and other help in matters involving FEMA, insurance claims, landlord-tenant disputes, home-repair contractors, unemployment benefits, document replacement, income tax extensions and abatements, and more. The hotline is open 8 a.m. to 5:30 p.m. Monday-Friday, at (888) 222-5765. You may also apply online at www.lsnjlawhotline.org. The Spring 2013 Community Magazine is now in homes and registration is open for upcoming Recreation Department classes and events. The 32-page magazine contains a recap of news and events, as well as a comprehensive listing of upcoming activities for residents of all ages. To view the magazine electronically, or for online registration, click here [http://www.cherryhill-nj.com/index.aspx?nid=127] . For more information, call the Recreation Department at (856) 488-7868. 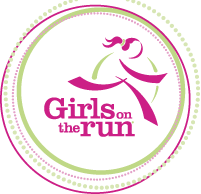 Girls in grades 3 through 5 are invited to register now for the second installment of “Girls on the Run,” a program offered by the Katz JCC in cooperation with the Mayor’s Wellness Campaign that teaches life skills and important lessons through conversation and running. Through a series of sessions with their coaches, girls learn about emotional and physical wellness, build friendships and learn teamwork, all while having fun. The first session, held last fall, was extremely successful – so much so that the program has been expanded for this year. Several spots are still available; however, registration ends this week. For details, click here [http://www.cherryhill-nj.com/DocumentCenter/View/1383] . The Camden County Board of Freeholders will offer a free parenting conference, “Raising the Next Generation,” from 8 a.m. to 1:15 p.m. Saturday, April 13, at Pennsauken High School. This fun and informative event, designed to help families meet the challenges of everyday life and help children become the happy, healthy, smart people they were born to be, will feature workshops exhibitors, prizes, a giveaway bag, and much more. A free continental breakfast begins at 8 a.m.; author, TV host and columnist Lu Hanessian will speak at 9 a.m., and workshops begin at 10. Free on-site childcare will be available. Registration is required. A complete list of workshops and the registration form are available here [http://www.camdencounty.com/county-news/register-now-interactive-conference-families-and-children] . For more information, please call Joan Quinton at (856) 225-5575. Legal Services of New Jersey offers a special Hurricane Sandy Legal Assistance Hotline for lower-income New Jerseyans with civil legal problems caused by the storm or its aftermath. Services are free to those who qualify. Legal services provides advice and other help in matters involving FEMA, insurance claims, landlord-tenant disputes, home-repair contractors, unemployment benefits, document replacement, income tax extensions and abatements, and more. The hotline is open 8 a.m. to 5:30 p.m. Monday-Friday, at (888) 222-5765. You may also apply online at [http://www.cherryhill-nj.com/admin/www.lsnjlawhotline.org] www.lsnjlawhotline.org [http://www.cherryhill-nj.com/admin/www.lsnjlawhotline.org] .